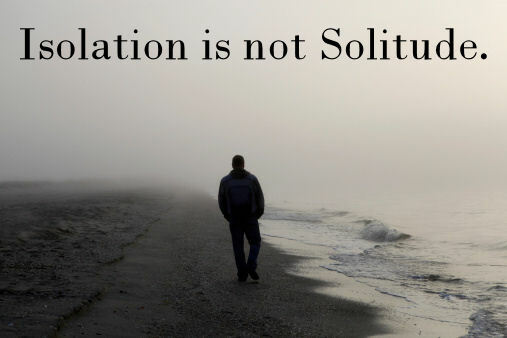 Isolation is not the same thing as Solitude. Solitude allows you time away to refresh and renew your spirit. Isolation cuts you off from help. Time and time again, Jesus models the importance of solitude, to take time away to for ourselves, but it is a very fine line to walk between solitude and isolation. As a busy mom, I usually have to make time for solitude; time in nature, for prayer, and in God's Word. But in times of pain and hurt, I can naturally slip into isolation. Pride is my downfall when trying to walk this line between refreshing solitude, and dangerous isolation. This past year I needed my loved ones like I had never needed them before, and it was HARD. I hated being the "needy" friend. I hated being the one in pain & suffering, with nothing to give to anyone, only able to receive. It made me feel helpless to need so much, and worthless when I couldn't give anything in return. Your enemy wants you isolated; he is cowardly lion who picks off the stragglers who have separated themselves from the herd. Those who are too scared to admit they are lost or wounded are the most vulnerable. Our enemy has zero scruples, and he is not above picking off the injured, the ones were are struggling to keep up. Satan will not only kick you while you are down, he will put on his steel-toed boots to do it. The last thing your Heavenly Father wants for you is to be isolated from help. He has help for you. It comes in the form of his Holy Spirit, and in the form of your friends. I promise that someone in your life has walked the same path you are on, and survived.. I can promise it because God promises this in 1 Corinthians 1:4. I promise because I have seen it with my own eyes. Secret sins and shame, others have been there. Broken bodies and broken hearts, others have been there. Those who have walked this road, can walk it with you. They can show the comfort that God showed them. Don't tell your story to just anyone, but discern and pray about a friend that God has for you. They have walked their road with the purpose of encouraging you in yours. Remember, no one is perfect other our Savior. People will not fix your life or your problems, but God gave use other people for you to know you are NOT ALONE in anything you experience. God's help comes in the form of Jesus' church, but you must seek out the intimacy and vulnerability of these relationships. Join a regular small group, a prayer group, or a Bible Study. 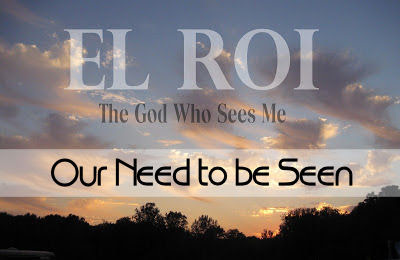 Come into intentional contact with God's People on a regular basis, and you will see God use them in your life. Stay with the flock, and you stay with the Shepherd.